For the third consecutive year, TestExpo is the must-go-to testing conference in Finland, hosted by Sogeti! TestExpo inspires delegates and provides them the opportunity to learn from top speakers, meet peers and tool vendors. The future is here: machine learning, automated processes, artificial intelligence and use of big data are taking place in our daily lives. As a QA-Professional, we must survive in a world of opposites, where new and old technology lives side by side with the new and old project and development methods. TestExpo™ embraces these contradictions and will give you the knowledge and tools to cope with today and tomorrow. We have 14 very talented speakers on the stage on 10th of September in Helsinki Clarion Hotel, come and get inspired! Monday 10 September 2018, 09.00-16.00, registration and coffee 08.30. TestExpo is a leading event which is why we can reserve only certain amount of attendees. We accept registrations from potential and existing customers and Sogeti's partners. Sogeti also welcomes potential employees from the testing field. Participating in the conference is free of charge. The event includes morning and afternoon coffee service, as well as buffet lunch at the Hotel Clarion. To ensure that quality is taken care of in the future technology, we need new tools and ideas. In this track you will hear how speakers with QA Innovation as their Superpower apply new technology to improve today's testing and how future technology is tested. Test Automation is an essential way to increase the effectiveness, efficiency, and coverage of your software testing. In this track, you will hear how speakers with QA Innovation as their Superpower work around test automation and how Test Automation Factory is set up in a complex environment. The TestExpo ™ 2018 program is divided into common tracks and parallel tracks. Each track has its color. The program will be launched soon. Meanwhile, we are proud to present our 14 talented speakers, their details will be added here during August! 11:00-11:20 My Super Power is Artificial Intelligence! 13:55-14:15 Cloud Testing - A solution behind the hype! 15:20-15:50 Mikä erottaa parhaan hyvästä? Test data management (TDM) has been an area of interest for long especially from the quality assurance standpoint, although recently TDM has gained focus because of GDPR. Traditionally test data management solutions have been confined to excel sheets or distributed solutions causing a lot of issues during testing and migration. Test data plays a key role in the software development lifecycle and changing the mindset of how it is being looked upon is a crucial aspect. Test data management in OP involves providing a solution for synthetic data generation; data masking; and refreshing the test data. As a part of our TDM strategy, we have implemented the MVP solution and are now adding new assets and solutions which can be of immediate use for different development teams. This not only benefits the development team but also helps in achieving our TDM roadmap. Heli Hurme is a product owner in OP working with DevOps solutions team supporting software development in a shared services model. She is an IT versatilist with 10+ years of proven experience in project management and product development. In her current role, she has been leveraging industry best practices, processes and tools in order to implement a robust test data management strategy within OP. 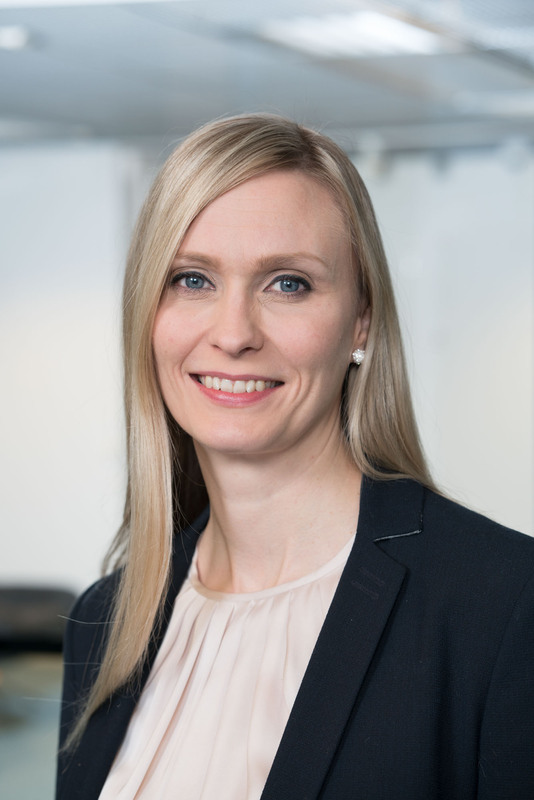 She has an MSc from the Tampere University of Technology and has worked in multiple IT companies in different roles and domains. Michiel Boreel has worked in the IT Industry for over 25 years. Now in the role of CTO contributing to the innovation in the group. In 1994 Sogeti asked Michiel to lead a new initiative, Vision, Inspiration, Navigation Trends (VINT), a small research group with the goal of inspiring customers to apply new technology to business processes. The constant theme in all of the VINT research is the question of what role IT will play in the future society and how technology can be applied to create meaningful business innovation. Since 2007, Michiel Boreel is, as Chief Technology Officer, part of the Management Board of Sogeti Group on an international level. My Super Power is Artificial Intelligence! IBM Application Security offerings help you improve productivity, reduce application vulnerabilities and lower overall security costs. Cognitive analytics applied to application security acts as a virtual security analyst providing instant analysis of new APIs and frameworks and reviewing large result sets, leading to 98 percent accuracy in reducing false negatives and false positives. Michele is an Application Subject Matter Expert dedicated to helping customers understand the most effective way to AVOID a breach is to make sure your code is designed securely and you understand vulnerabilities in your deployed Web applications. She is currently leading the Global Application Sales team at IBM to help promote the very best Application Security Program for our clients. And how over the past two years, IBM Application Security has transitioned from running a scanning program into an Enterprise Class Solution designed for holistically managing Application Security Risks! Prior to coming to IBM, Michele worked at a wide away or organizations, where diversity, creatively and commitment where always the core components of success. The hype surrounding Artificial Intelligence (AI) continues to rocket beyond its second peak. As the general purpose technology of the 4th Industrial Revolution, the emerging chapters of these fascinating Machines demands our attention as AI continues to be applied in ways that directly affect the workplace, one in which the Test community won’t be immune. In this latest hype cycle, new products and consultants are everywhere and inundating us with solutions that may or may not be applicable to our organizational context. We find ourselves having to sort out fact from fiction and often underestimate the viability and efforts of these new practices. So, while it's up to each of us to establish our own relevant reality, shared insight from a fellow practitioner who’s been down this road could be a most welcome assist. Geoff shares the "in-progress" journey at DellEMC as they drive to optimize and re-invent their Testing Superpowers with the application of data-driven smart assistants, powered by Analytics and Machine Learning. At a macro level, Geoff identifies opportunities across the Product Engineering and Test landscape for the application of Analytics and AI. Key ingredients in moving toward solutions that matter is the identification of organization-specific pain points, their prioritization, and the availability and cleanliness of essential data. Geoff shares the process of experimentation, staffing and implementation that his team approached these new opportunities with and then delve into the Smart Assistants that they’ve created to automate deep-think, cognitive-based testing tasks. “'Q", "JARVIS", and “Goose” automate many of the time-consuming and deeply analytical tasks such as determining high-value test configurations, defining high-value/maximum coverage regression test suites, and identifying market-demanding solution workloads when the time is not an ally. Most importantly, Geoff shares insights on the activities that should be given the highest levels of attention and those that you might want to de-prioritize to later phases of your own Analytics and AI journey. Join Geoff in re-imagining Testing practices and discovering your Testing Superpowers in the age of Smart Assistants. Cloud Testing- A solution behind the hype! As customers begin to embrace digital transformation and start to implement “Cloud First” Strategy the most important and obvious question that arises is the impact of cloud adoption to their organization! Would their applications be accessible, usable and perform as they used to pre-migration? Most importantly would their data be safe? The decision is based on many factors and thorough analysis is required of the IT landscape. We will learn how our Cloud Adaptive and Adoptive framework (CAAF) can make the cloud testing simple and effective. As a Testing Consultant & Architect, I have worked closely in collaboration with leadership and subject matter experts to build a holistic view of the client organization's testing blueprint & roadmap. 15 + years of experience in software development, testing, presales & solutions with a blend of product and services based experience. As a Systems Architect, my job is to bridge the gap between Architecture and Business to ensure value driven product development of high-quality solutions employing IT development techniques. As a cloud architect, have implemented on-premise hybrid clouds solution hosting thousands of virtual servers to manage & deliver large-scale testing engagements. Have also worked with the organizations to implement their ”Cloud First” Strategy.I have also lead the DevOps initiative in a leading organization to envision the organization’s strategy to unify the process and bring everything under a common platform. Join LEAPWORK’s Senior Product Evangelist Kasper Fehrend for an energetic talk about how every member on a test team can play their part in achieving automation success. This session is for testers of every kind: Domain specialists, technical testers, and test management. You are guaranteed to come away with a completely different idea about how test automation can be rolled out – and what you can do with it. Kasper Fehrend has more than 20 years of experience working with software development, IT architecture, and project management within e-commerce, ERP, and the financial industry. He has always, even before the birth of DevOps, been driven by a mission to use technology to optimize processes in all aspects. Digital disruption is omnipresent. Organizations are asked (more than ever before) to constantly reinvent their businesses at the speed of ideas and to keep their customers at their epicenter at the same time. Venerable companies have become comfortable "breaking down silos", changing cultural norms and driving efficiency at all costs to always be one step ahead of their competition. It is not any longer the strongest that survives, nor the most intelligent that survives. It is the one that is most adaptable to change. Change seems to be the only thing constant, the new currency, the silver bullet to stay competitive. Big words, such as DevOps, emerged out of this fear to be second-class, and even managed to penetrate into our daily testing routines. The ability to change fast while delivering high quality has become imperative for all businesses (small, medium, large). This level of transformation requires testing to no longer be a bottleneck. It requires continuous testing to make sure that the quality of the software that is being developed is measured continuously. In this talk, Ingo Philipp outlines how to unfold continuous testing into reality. Ingo Philipp, Distinguished Evangelist at Tricentis, champions the methodologies and technologies at the core of the company’s continuous testing solution. In his previous position as a senior product manager, he orchestrated product development and product marketing. Before that, he worked as a theoretical astrophysicist in the field of high-energy particle physics and computational fluid dynamics. He holds a Master of Science degree. Cloud, Artificial Intelligence, Machine Learning, and the Internet of Things are not only changing the way applications work today, but they are also significantly changing the way we have to deal with the entire software delivery lifecycle. Quality Assurance needs to adopt these new paradigms in IT, embed them into the QA-tooling, and change from more heavy governance to leaner. In this session we will showcase a couple of innovative QA-tooling capabilities, giving you the power to deal with the current and future state of quality assurance in an efficient way, and deliver high-quality applications with more agility, quality, and speed. Machine-learning and artificial intelligence to go from reactive to predictive reporting in ALM Octane. Using the cloud for testing multiple web- and mobile-applications with StormRunner Functional. Visually identify test coverage in your applications using ALM Prisma. Dealing with internet-of-things sensors and applications in QA. Jerry Saelemakers is Team Leader for the Micro Focus DevOps Presales unit in Northern Europe & South-Africa. Building on over 18 years of extensive Software Quality knowledge, he delivers insights on solutions and services that meet or predict the future needs of organizations. He started his career at Mercury Interactive in 1999, the market leader in testing software, and has worked in various supporting and consultative positions, supporting customers and teams by providing them optimal, world-class Application Delivery solutions. The printing press. Electricity. Internal combustion engine. And now Artificial Intelligence. Every transformational technology has fundamentally changed our habits, businesses, and societies. They also redefine what it means to be human. How can we make AI work for us instead of enslaving us to technology? How should we use AI when designing services? What should be the role of humans in the services of the future? In this broad and thought provoking talk, Matias Vaara from Idean will share three principles for designing services in the age of AI. Matias Vaara is a Lead Service Designer at Idean. He works with his clients to craft customer experiences and transform organizations through design. He has collaborated with brands including Facebook, Nokia, Cisco, Sanoma, and Audi. Idean is a global customer experience design agency with a network of 11 studios. In 2017, Idean joined Capgemini Group as its innovation and design partner. Release management sets the overall schedule and thus the pace for coming system changes in our operational systems. The bigger the systems, the fewer business releases per year. Between the releases, you may have to plan your ERP system upgrades, company code mergers/demergers or curve outs. Then you get a cloud solution and another one. And yet another one, some having weekly releases. Every test cycle requires a lot of work and resources. All this, if done properly, requires massive regression testing in order to ensure that recent program or code changes have not adversely affected existing features. Learn how UPM Finance have increased test speed, quality, accuracy and repeatability by automating test execution. Hear our plans of utilizing test automation platform and in-house capabilities beyond testing. Markus Rantanen and his 20+ years in delivering and managing Enterprise Resource Planning (ERP) solutions and System Management and Application Management services gives great experience and strong knowledge on system and process development processes, testing and quality assurance being fundamental elements in them. Running projects and driving change initiatives in a global organization gives perspective how to effectively achieve complex and sometimes also conflicting goals across organizational boundaries. In his current role as Senior Manager, Robotics and Automation, he focuses on driving a culture shift that looks to automation through new, emerging technologies as a first step and not an afterthought. Quality Assurance as we used to do it is not sufficient to in the Digital Era. The growing complexity of today’s IT landscape is driving a need for more and more testing. At the same time, there is an increasing pressure to reduce time to market and protect the brand image. The only way to master these challenges is to make testing more intelligent by applying Analytics and Artificial Intelligence – Cognitive QA. Tom is the author of the new book on “Testing in the digital age” and explains how to create your flight plan to get to test forecasting. Stefan will introduce Cognitive QA, positions it on the flight plan and share experiences of implementing it with clients. Stefan is VP Digital Assurance and Testing Services at Sogeti. He has more than 20 years experience in the IT Services industry with a strong focus on Quality Assurance. Stefan is driving the development of Cognitive QA across Sogeti. Tom is 15 years active in the field of High Tech testing. As a High Tech test expert he is a frequently asked sparring partner for Sogeti High Tech customers with regard to test projects. He is author of the books IoTMap and Testing in the digital age. Most organizations already have or are moving towards “cloud first” strategy for the future of their IT landscape. This brings a need to rethink the Test Strategy for the new IT landscape as well as the journey to get there. In the future world of evergreen SaaS, application changes will mean changes across the enterprise, with multiple integrations to systems old and new. Sometimes these changes will span beyond an organization’s boundaries - integration with third parties or services. SAP implementations or upgrades of the future need to deal with SaaS updates/patches during the middle of the implementation or upgrades. There is an additional burden of getting the business process working end to end “first time right” due to product-related fixes not available quickly if issues are found in the live environment. Testing needs to be effective to reduce risk but also efficient to ensure maximum Test Coverage in minimal time. Test Automation can bring heaps of benefits towards that. A clear approach to Testing with embedded Test Automation is required to minimize Business risk not just once, but continuously throughout the build and run phases of IT systems of the future. Jeba has been delivering End to End quality for several complex programs with an integrated IT architecture involving SAP and with rollouts all around Europe. A Solution Architect with a strong technical educational background, he has been involved in designing, building and enhancing products and services throughout the full life cycle. Working across different industry sectors, he has developed a keen insight into how businesses are supported by robust and scalable IT systems/platforms. With such an insight, Jeba is extremely passionate about finding cutting-edge solutions that apply the latest technology to improve the status quo. A problem solver at heart, he has partnered with multiple organizations/teams in identifying pain areas and finding sustainable and cost-efficient solutions within the given constraints. In Finland, Jeba has been working predominantly around the manufacturing sector and tinkering with quality assurance of ERP solutions for 8+ years. He currently leads offshore delivery for Sogeti Finland and functions also as a solution architect for our industrialized service offerings. Reijo Jylhä haastattelee Virpi Sarasvuota ja johdattaa ajatuksemme aiheeseen, mikä erottaa parhaan hyvästä. Reijo Jylhä on toiminut kaksi jaksoa Suomen maastohiihdon päävalmentajana, vuosina 2001 – 2006 ja 2014 – 2018. Hänen henkilökohtaisessa valmennuksessaan ovat olleet mm. Sami Jauhojärvi, Pirjo Muranen, oma poikansa Martti Jylhä, Aino-Kaisa Saarinen, Ville Nousiainen ja Anne Kyllönen. Lisäksi Reijo on toiminut sekä Vuokatin että Lapin Urheiluopistoilla monenlaisissa tehtävissä. Tällä hetkellä hän toimii Lapin urheiluakatemian huippu-urheilukoordinaattorina. Hän on toiminut myös urheiluohjelma Elixirin päävalmentajana. Virpi Sarasvuo on maastohiihdon kuusinkertainen maailmanmestari, hopea ja pronssimitalisti, kaksinkertainen olympiamitalisti ja sekä maailmancupin kokonaiskisan että Tour de Skin kaksinkertainen voittaja. Sogeti Finland thanks our partners for contributing to this year's TestExpo with presentations and stands. Monday 10th of September, 09.00-16.00, registration and coffee starts at 08.30.